Gay Berlin East and West before and after German Reunification. 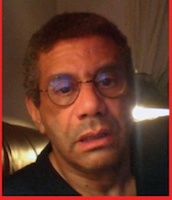 Through much of the 1980's & 1990's, Owen Levy got to know the divided city of Berlin inside out working as a film and music journalist. He was struck by the realization that a city so ravaged by tensions and division still boasted all of the underground cultures, scenes and venues usually associated with world capitols. He discovered a thriving gay scene: a growing, diversified group of men and women who defied Cold War tensions to put their own unique spin on life on both sides of the infamous Wall. Inspired by what he saw, Levy fused fact and fiction in this compelling new novel. 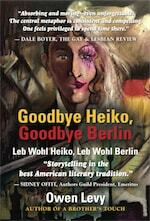 ‘Goodbye Heiko, Goodbye Berlin’ is a moving if unconventional tale of unrequited gay love and transgender reinvention told against the backdrop of a rapidly reuniting nation. “Gay” and “Cold War” are rarely used in the same sentence. But, as Levy proves in gripping prose, they can co-exist. To his knowledge, this is the first novel originating in English to take readers inside the East Berlin cultural underground and particularly its gay scene. Gay lifestyles existed on both sides of the Wall, yet he couldn’t believe how vibrant and ‘normal’ Berlin gay life was even separated by the infamous symbol of division. The story's arc touches upon Germany's brief brush with East African colonization and its postwar legacy of humiliation and redemption. The book presents a unique way to discover a hidden history that is often unknown or simply swept under the rug. Fittingly enough legendary chronicler of gay Berlin between the Two World Wars Christopher Isherwood wrote in his preface to a 1954 reissue of “The Berlin Stories” that the politics of a Divided Germany was rich material for a younger writer as his own interests had moved elsewhere. As with his first novel "A Brother's Touch" set in post-Stonewall New York, Levy reveals secrets and rituals of Berlin's sexual cultural underground few outsiders experience. New York-born author OWEN LEVY is a Stonewall Survivor and perhaps best known for his seminal first novel A Brother’s Touch, a surprise bestseller still in print and eBook formats. In the mid-1980's he began working as a journalist in Berlin, West Germany, conceiving this novel during that residency.